A U.S. judge says civil rights groups seeking to block the Trump administration’s policy of returning asylum seekers to Mexico had cleared basic requirements to bring their case. But Judge Richard Seeborg appeared skeptical at a hearing on Friday of one of their key arguments in favor of an order stopping the policy while a lawsuit challenging it moves forward. The lawsuit says the policy violates U.S. law by failing to adequately evaluate the dangers that migrants face in Mexico. The administration says the policy is in response to a crisis at the southern border that has overwhelmed the ability of immigration officials to detain migrants. Seeborg said the plaintiffs had authority to bring the case, and the court could hear it. But he questioned the argument that the policy violated a U.S. law that allows the return of immigrants to Mexico. The Trump administration’s policy of returning asylum seekers to Mexico will face scrutiny from a U.S. judge in San Francisco. Judge Richard Seeborg has scheduled a hearing Friday to help him decide whether to block the policy while a lawsuit moves forward. He’s not expected to rule immediately. 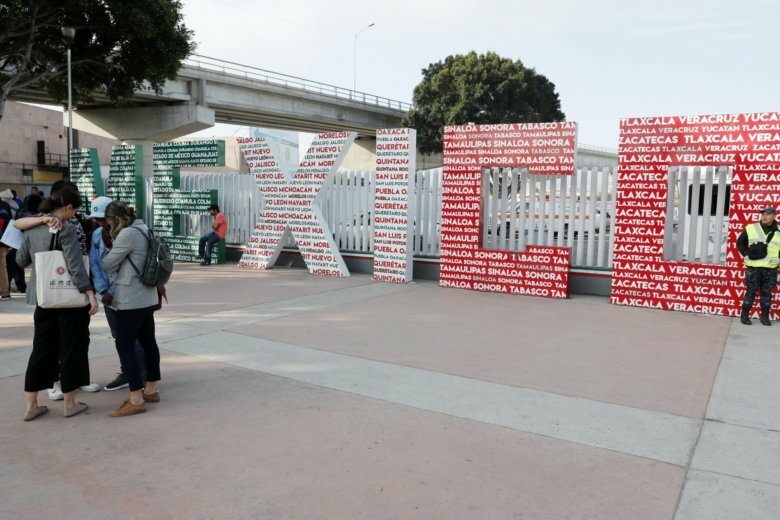 The lawsuit by civil liberties groups claims the policy violates U.S. law by failing to adequately evaluate the dangers that migrants face in Mexico. It also accuses the administration of depriving migrants of their right to apply for asylum by making it difficult or impossible to prepare their cases.